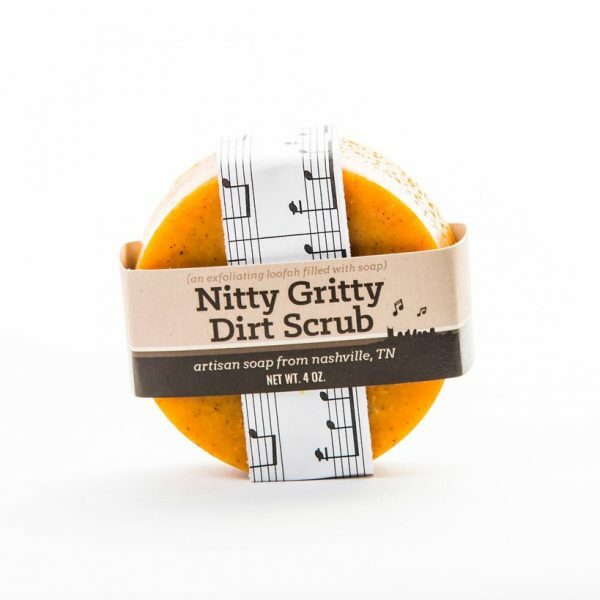 “Nitty Gritty Dirt Scrub” will have you kicking up your heels like Mr. Bojangles! This is a great exfoliating bar. Each one is a piece of natural loofah filled with our handcrafted soap. 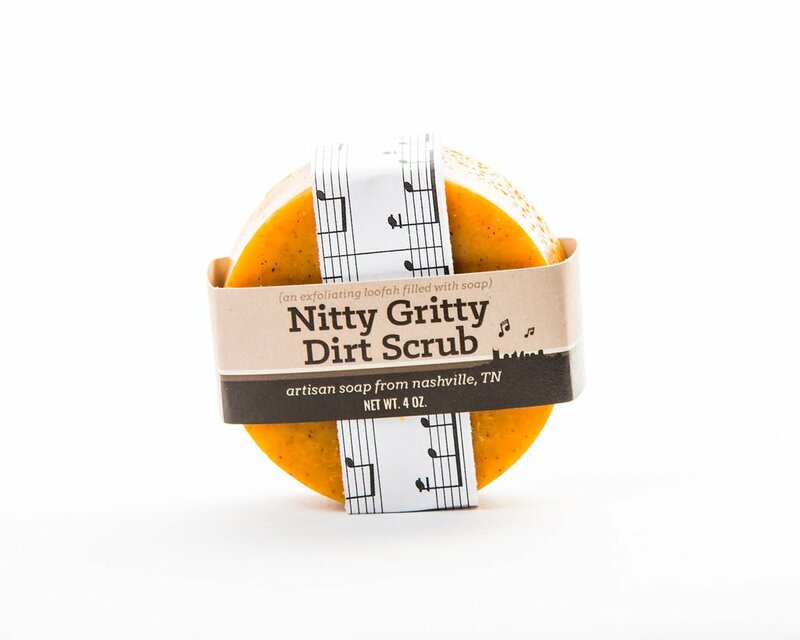 It’s scent is a blend of bright orange citrus fruit laid over dark, deep earthiness with a top note reminiscent of rosemary and white camphor. It is colored using paprika and annatto seed powder. Each bar comes wrapped in a piece of sheet music.